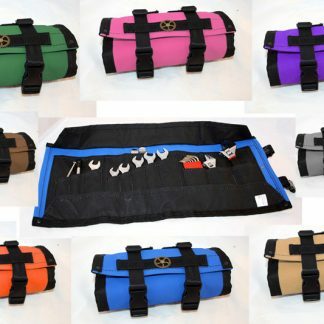 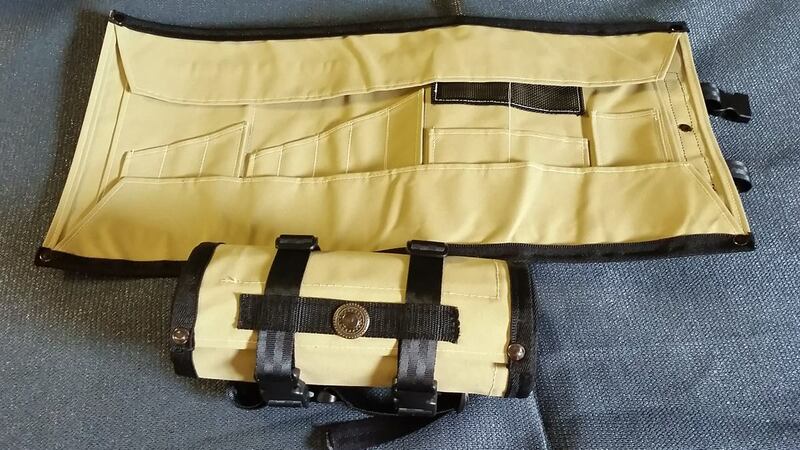 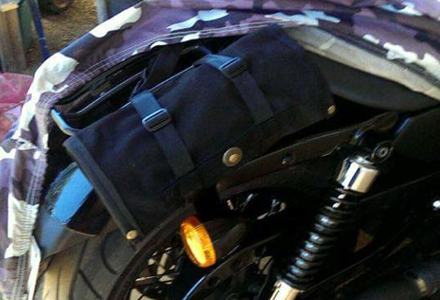 Large canvas motorcycle tool rolls, with 10 colours available, are 320mm wide and roll out to 620mm. 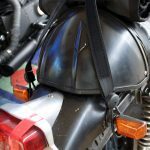 Straps on in a variety of ways to suit different bikes. 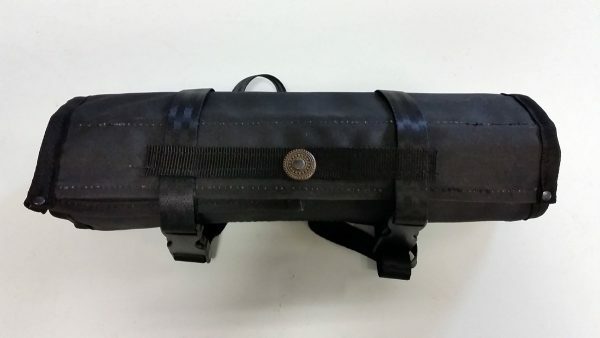 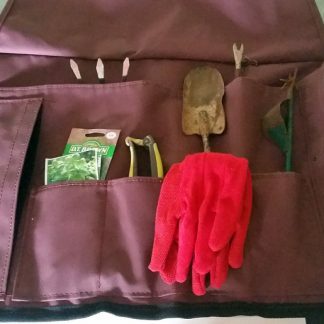 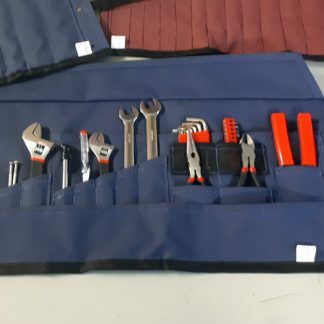 These tool rolls are handmade in Queensland from Australian made canvas. 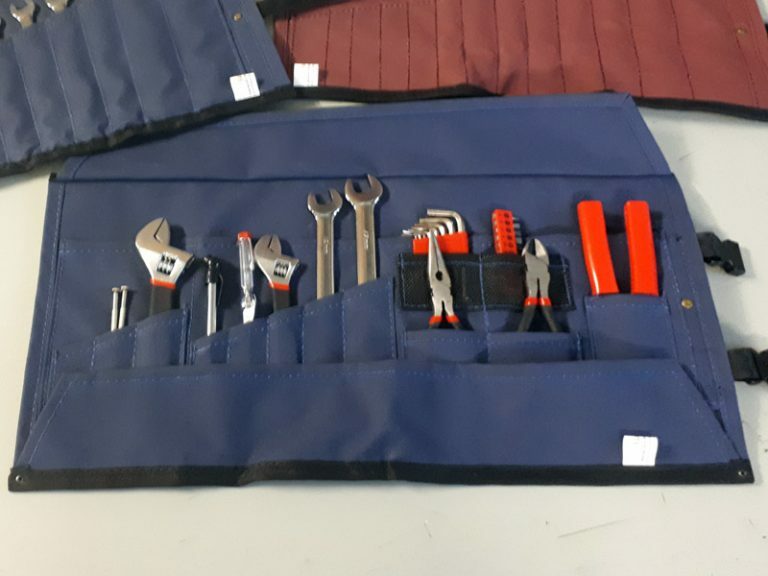 Keep your tools organised and tidy. 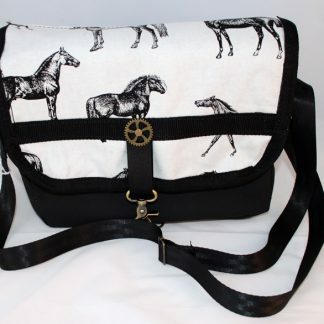 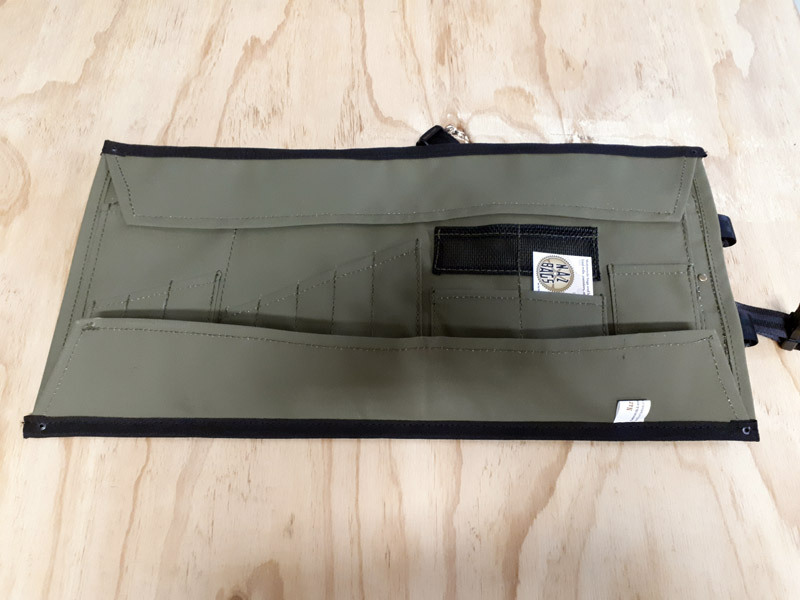 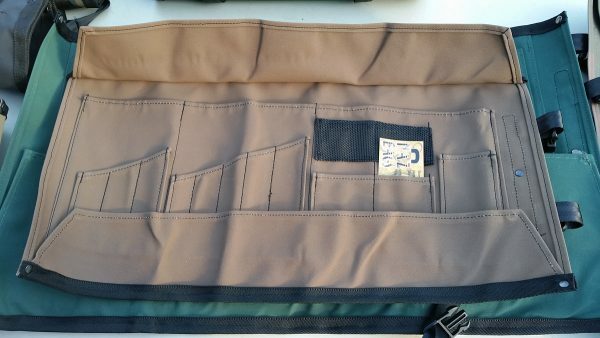 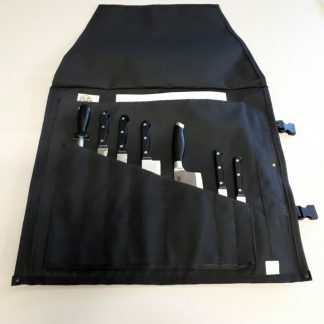 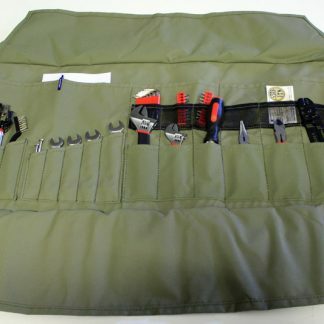 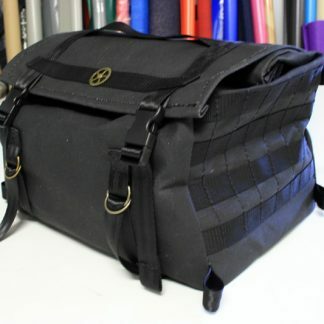 The tool rolls come with a strap that has side release buckles to use through the loops on the back and is very adjustable. 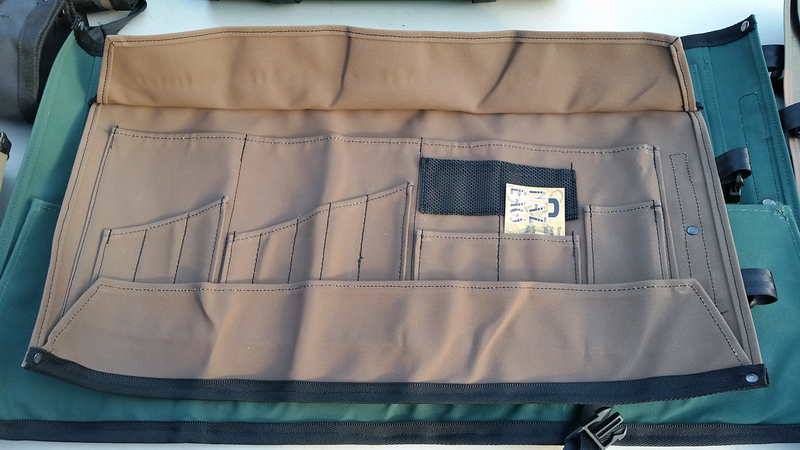 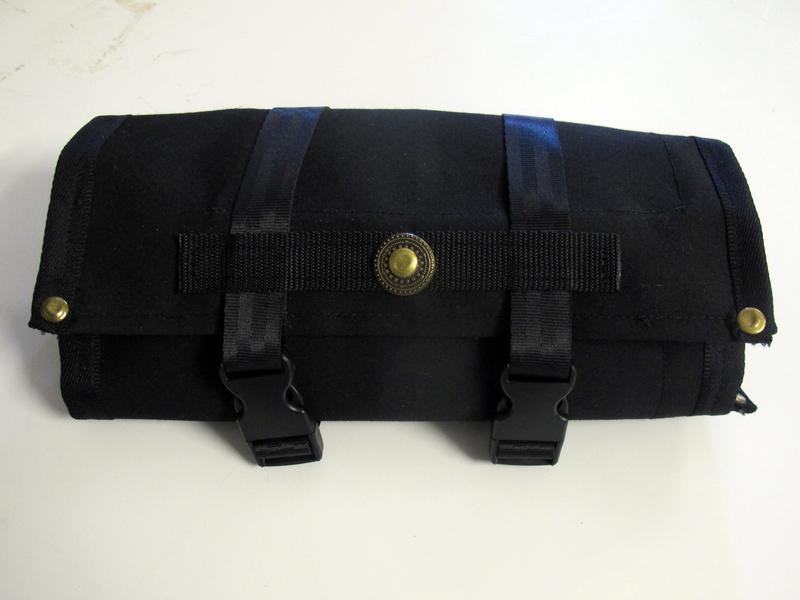 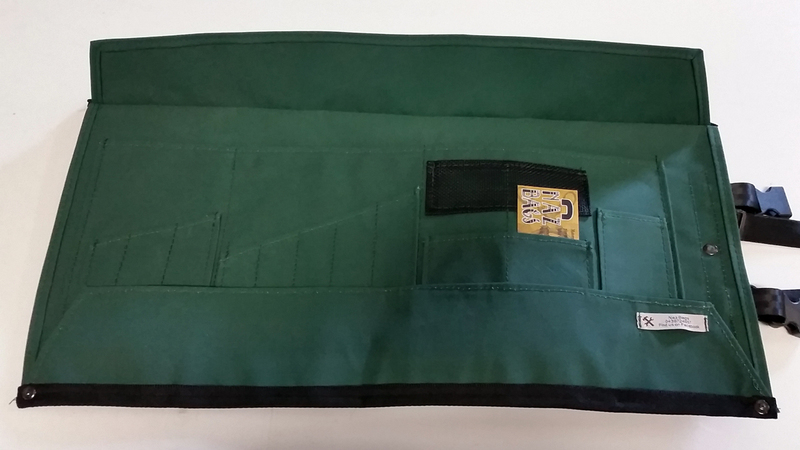 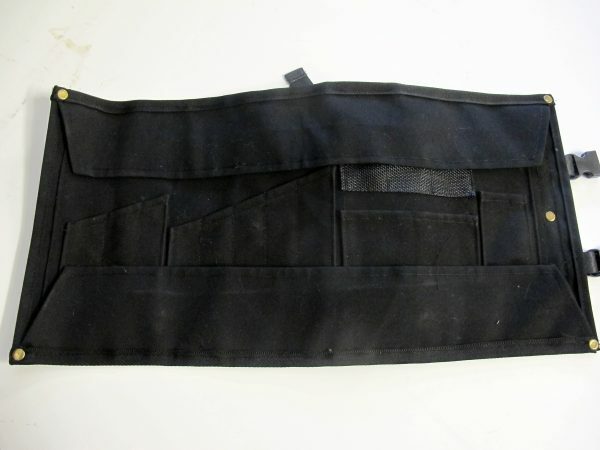 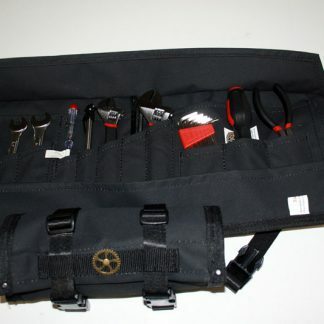 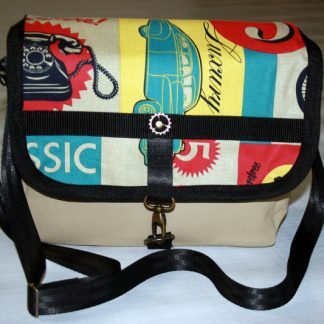 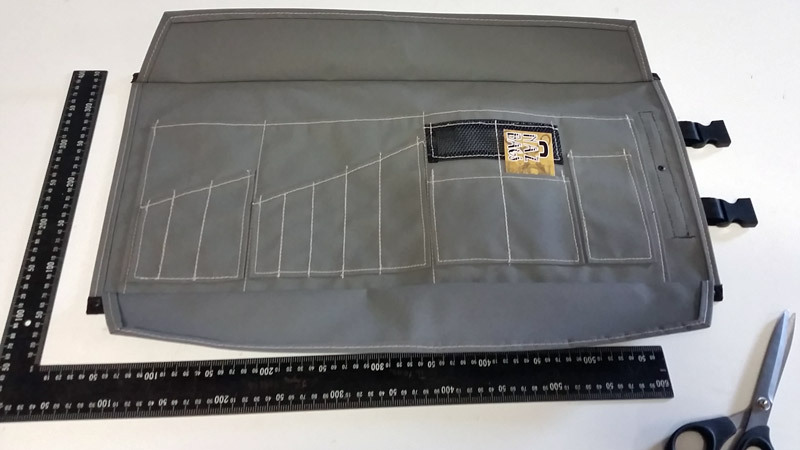 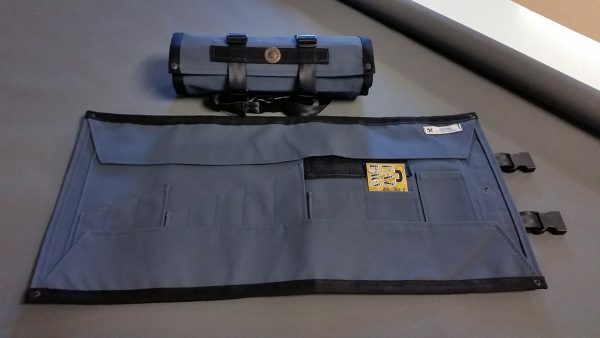 But you can also order an optional Flat strap with your tool roll as described below. 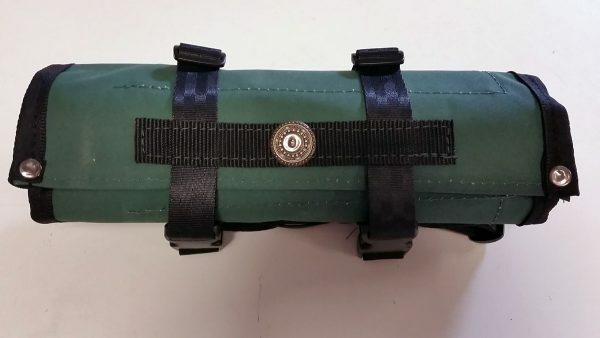 These adjustable straps are tough! 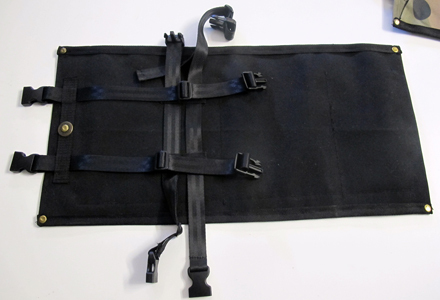 Made of seat belt webbing, hook and loop tape and shock cord they offer an amazing alternative to other luggage strapping options. 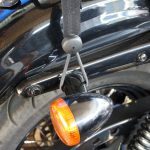 On a bike, such as a cafe racer with no racks, you can put the shock loops around places like indicators, shocky bolts etc. 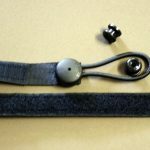 They also come with knobs that can be screwed or riveted to your bike. 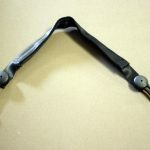 These adjustable straps are tough! 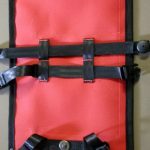 Made of seat belt webbing, hook and loop tape and shock cord they offer an amazing alternative to other luggage strapping options. 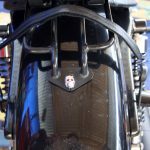 On a bike, such as a cafe racer with no racks, you can put the shock loops around places like indicators, shocky bolts etc. They also come with knobs that can be screwed or riveted to your bike. 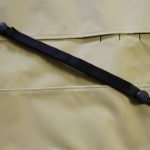 Small flat straps are 400mm long and open to 500mm. 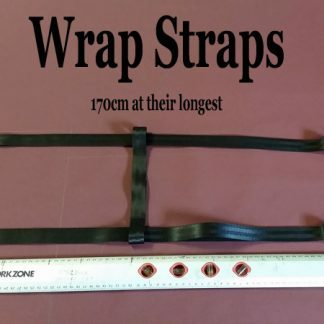 Large flat straps are 600mm long and open to 850mm. 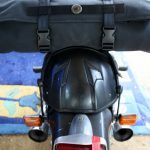 Check out Naz's Motorcycle Daily.